This document explains how to associate additional email addresses with your UW-Madison Box account. For all UW-Madison Box users, your Box account is tied to your <NetID>@wisc.edu email address for purposes of authentication. While you cannot change your primary email address, it is possible to link multiple email addresses to a Box account. People can then use these addresses when inviting you as a collaborator. In the upper right-hand corner on the page, click on the menu labeled with your account avatar (Note: this will be your initials if you have not uploaded an image). Then, select Account Settings from the dropdown menu. Scroll down to the Login and Email Addresses section and click on the Add Email link. Enter your email address in the text field and click Save. A confirmation email will be sent the address you just added. 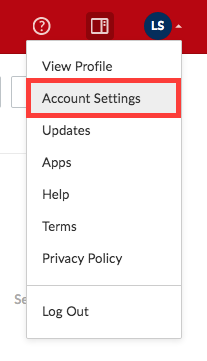 Until you verify the address, it will appear greyed out on the Account Settings page and usable for collaboration. 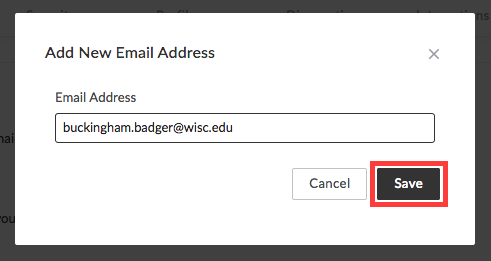 To confirm the change, check the inbox of the email account you just added and look for an email with the subject "Verify email for Box account: <NetID>@wisc.edu" and click the Verify Email button included in the message. If you are not already logged into Box, a Box login page will open with the primary email address associated with your Box account already filled in. It will not look like the UW-Madison Box login page. Do not enter your password here. Click the Log In button and you will be redirected to the normal NetID Login page. Enter your NetID and password here. Once you are logged in you should be brought to a page with the message Your email address is now verified. You can click the Continue to Your Account button to finish logging into your account. You can now proceed with entering additional email addresses by repeating the above steps. If you would like to remove an address, simply go back to the Account Settings page and click the Remove link that appears to the right of the address.